Electrostatic discharge can entail risks of serious accident, especially when handling easily combustible liquids and explosive gases, which is why it is vital to wear antistatic gloves when dealing with sensitive electronic equipment. 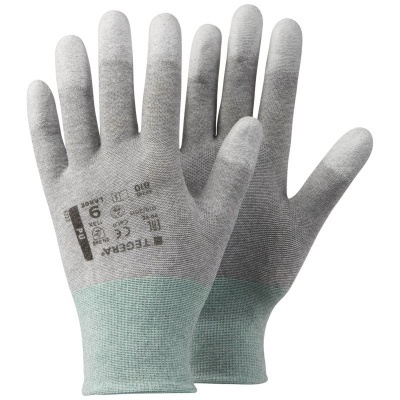 The Ejendals Tegera 810 ESD Anti-Static Gloves are flexible nylon gloves that will keep you protected from potentially damaging effects of electrostatic energy, as well as abrasion injuries, scratches and lacerations. The Tegera 810 ESD Anti-Static Gloves are designated Category II gloves, which makes them suitable for intermediate risks. Gloves are placed in this category when the risk is not classified as irreversible. 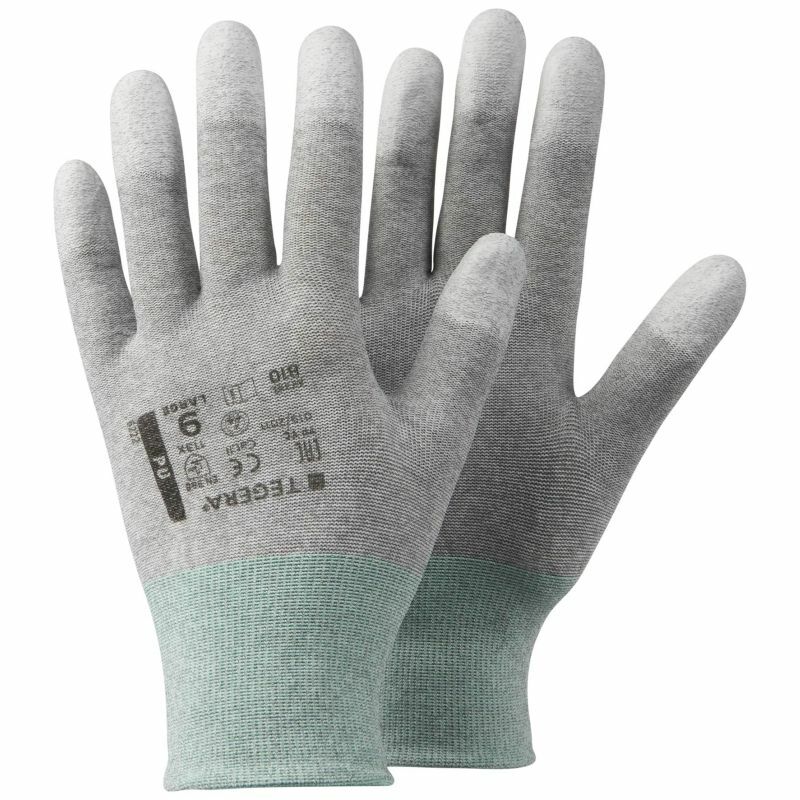 The 810 Anti-Static Gloves are available in seven sizes that should suit the hands of most users. Please measure the circumference of your hand around the knuckles (excluding the thumb) with your hand open and your fingers together, and the length of your hand from the tip of your middle finger to your wrist.